As educators we have the responsibility and duty to teach our students about respecting the intellectual property of others and modeling what that looks like in the classroom and in "real life" for our students. We are all guilty of "Googling" pictures to add to presentations or inserting our favorite Top 40 tune into an iMovie or slideshow, but what are the guidelines for being a good Digital Citizen in an every changing world? How can we help students understand that "stealing" is "stealing" whether or not we can actually hold the object in our hands. 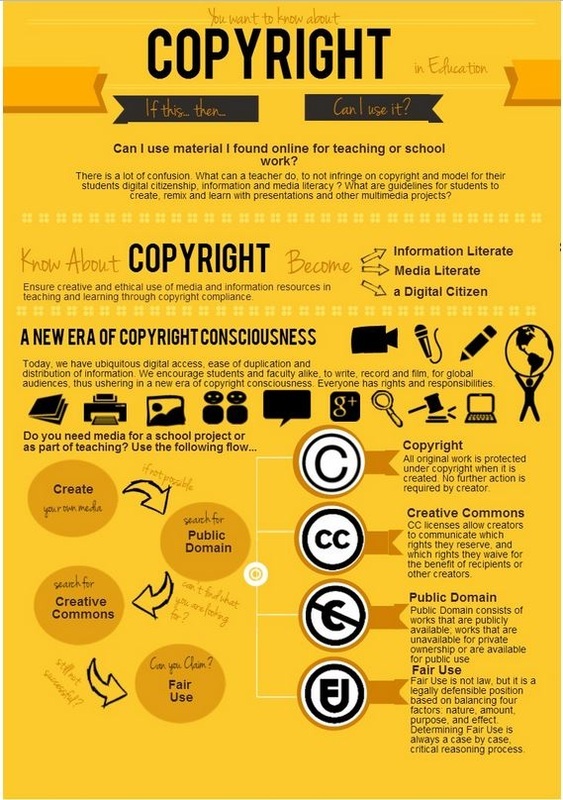 Allowing students to be creative and invent their own media, pictures, and music is the best way to help them understand the concept of intellectual property. Just because their creation is not concrete, it is no less the product of their imagination and ingenuity. 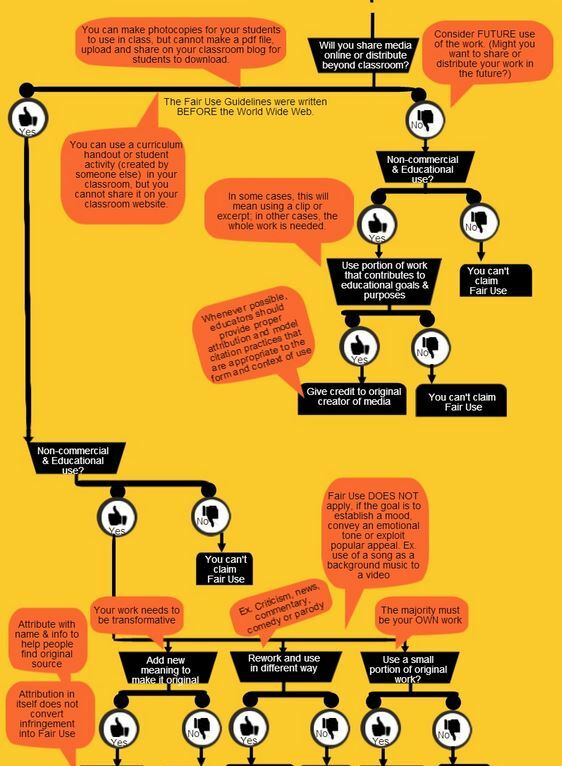 The infographic below helps answer some copyright questions and gives some guidance for "Can I use this in my project?" Tolisano, Silvia. 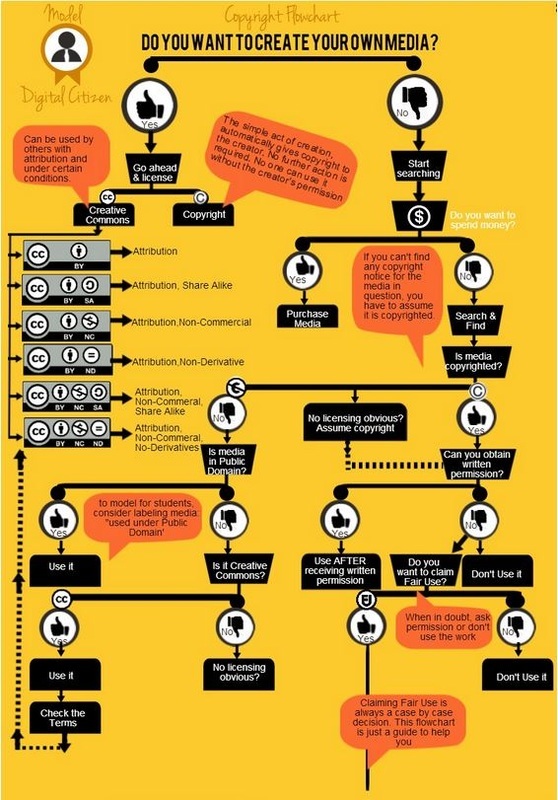 "Copyright Flowchart: Can I Use It? Yes? No? If This... Then..." Langwitches Blog. N.p., 10 June 2014. Web. Creative Commons is a non-profit group of artists and creators who have a desire to share their content and creativity with the public for free. It does not take the place of copyright but works in partnership with copyright laws and licensing. 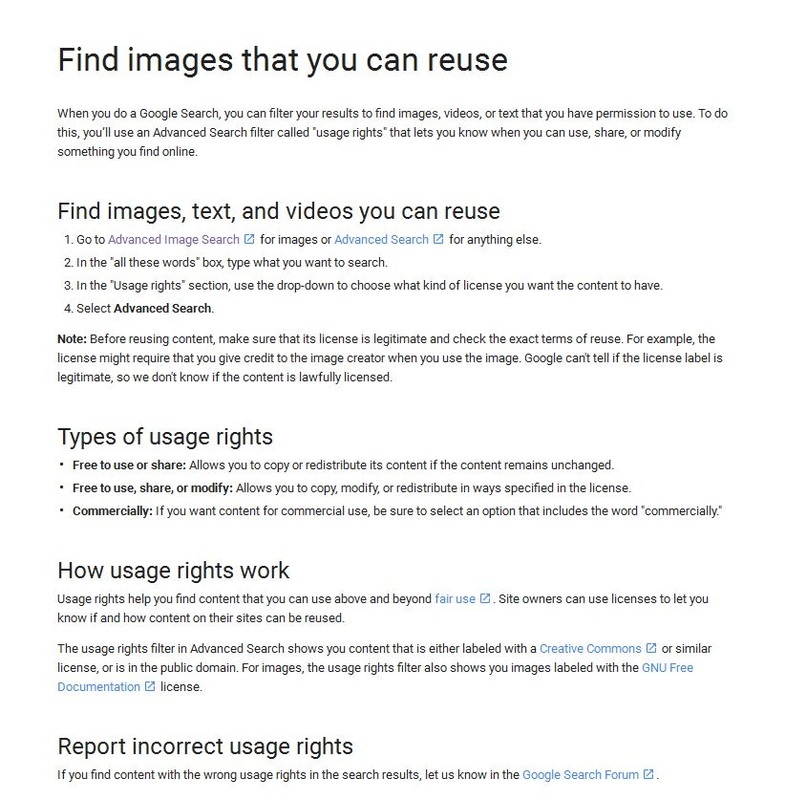 Many copyrights fall under "All Rights Reserved" which allows the creator to retain all rights to the content, and their content cannot be used without permission or payment. 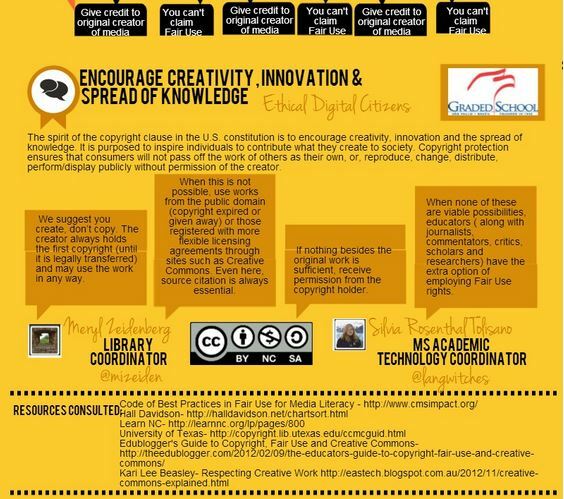 Under Creative Commons, all licenses require attribution or giving credit to the creator of the content. Some licenses require non-commercial conditions (not to be used to make money), share alike (share your content under the same license and give credit), or no derivatives (work cannot be altered in any way). The free cultural works offer the most freedom and collaborative opportunities. They allow the public to use work as they see fit as long as proper attribution is given. Watch the video clip below created by the Creative Commons organization for additional information.